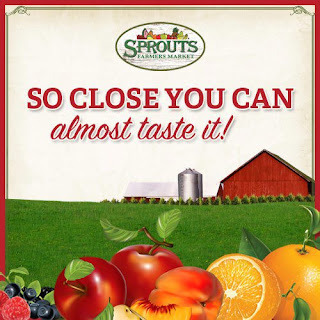 We are less than 24 hours until the grand opening of the Sprouts Grocery Store in Westwood. They are set to open tomorrow, May 1st, 2013 at 7am. Spouts is located at the old Ross location, just a block north of Santa Monica Blvd at 1751 Westwood Blvd, LA CA 90024. I don't know about you, but I am very excited for this new grocery store and hope to make it my go-to spot for groceries. We’re so excited to open our doors in Westwood on May 1st! Join us for free food samples and surprise giveaways throughout the day. And if you can’t make it on Wednesday, stop by on Saturday the 4th – Boar’s Head will be onsite handing out 500 free hotdogs, and the first 100 customers to make a purchase will receive a coupon booklet for 5 FREE sandwiches from our deli!